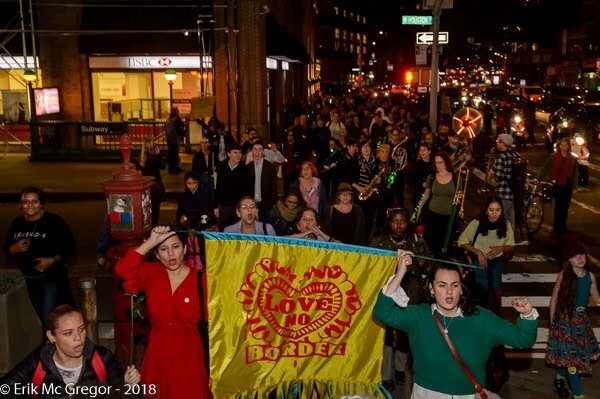 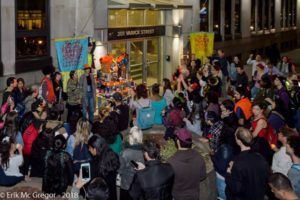 New York, NY – New York immigrant community and allies gathered to celebrate Día de los Muertos on November 1, 2018 in Washington Square Park followed by a procession to the ICE offices on Varick Street. This is a call to unite during a day of remembrance and traditions that hold us together. 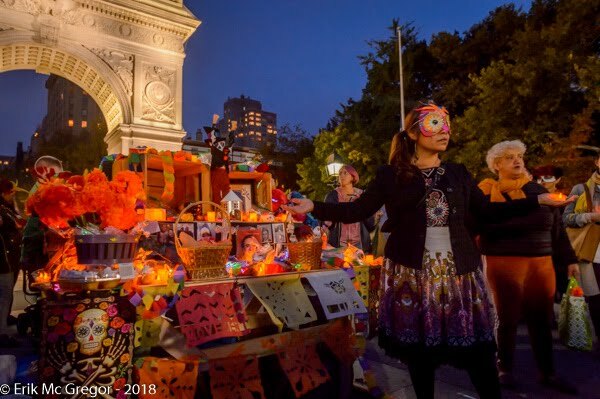 We call on you to honor el Día de los Muertos by reminding everyone that life has no borders. 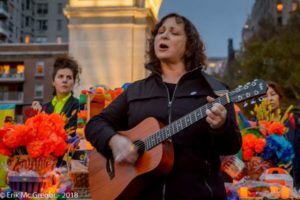 On this day, we remember those who have been forcefully separated by the cruel, profit-making system; we remember all those family members who cannot be with us today, who have suffered a social death in deportation. 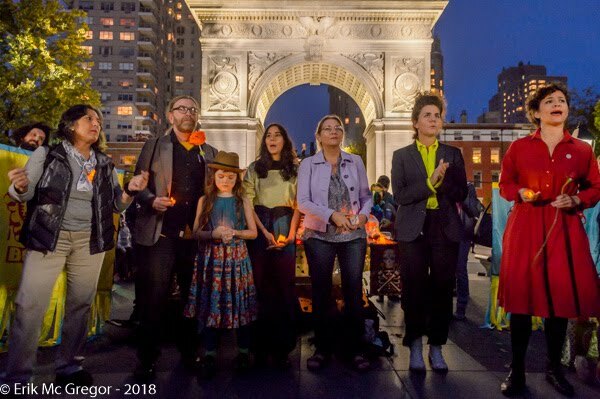 On this day, we call upon those who we remember to join us in celebration and let their Spirits guide us to fight for a better world, to share, laugh, learn, grow, to live with dignity and without fear. On this day, we remind ourselves to surrender our prejudices, to purge the brutality of separation, ignorance, fear, and blindness. 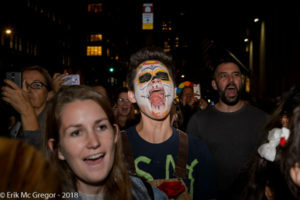 We re-imagine the experience of death and create different worlds. We invite you to bring ritual elements to remember and celebrate those you have lost. 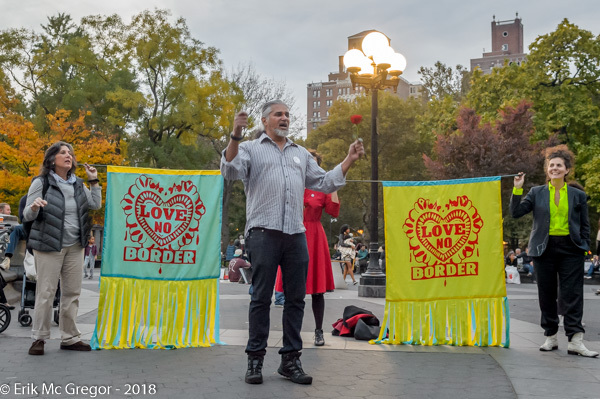 If you can’t join us in this evening of communion, ceremony and healing, we invite you to use these intentions in your own ceremonies or in the spaces where you will remember your loved ones and those who have been forcefully displaced from your communities.